Now I know where to go once I finish my Sentai fix! Just a heads up that I've stickied this thread for future reference. We also collaborate with other groups, like Hikari-Senshi, Over-Time, Midnight Crew, ShinkenAnon, and anyone else that wants our help! We've helped out with some Shinkenger stuff, the Let's Go Kamen Riders movie, and Kamen Rider Stronger. 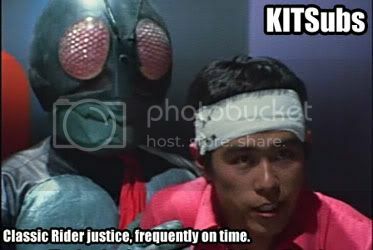 For completed projects, we've got the Let's Go Kamen Riders! net movies, and the Decade stage show. I just posted a release information thread, so keep your eyes on that thread for info and discussions on new releases. You can also find us on twitter and facebook. I have a big fat mouth, and I love to talk, so interacting with fellow fans is part of the fun for me. Visit Steel A Jeeg's homepage! 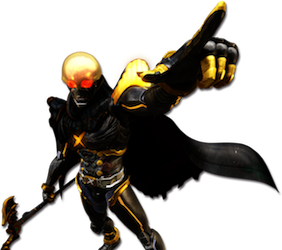 List updated to reflect the fact that Century Kings has completed the Kamen Rider Black sub. Awesome! i hope they do RX next! I'd have to imagine they will at some point. They did a fantastic job with Black and despite the hate that most have for RX I'd love to see more than the 6 episodes that GUIS did.